Let us host your next big event! 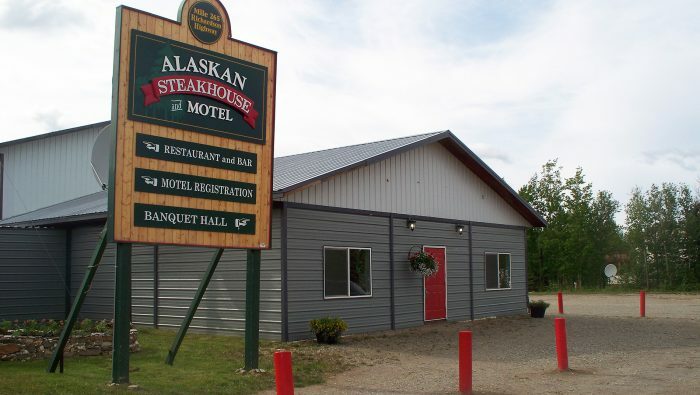 Conveniently located in the heart of Alaska, at mile 265 on the Richardson Hwy, Alaskan Steakhouse & Motel is the destination eatery and motel in Delta Junction, AK! Stop in for one of our many delicious entrees, share a drink and stay in one of our inviting, accommodating motel rooms. 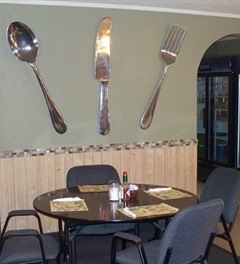 We also have a banquet hall for events of all sizes. Contact us today regarding menu information or to make a reservation! When you’re craving a delicious meal, prepared to perfection in an atmosphere that’s comfortable and welcoming, there’s no better destination than Alaskan Steakhouse & Motel. For breakfast, lunch and dinner, we take pride in bringing you some of the best entrees in the area—from fluffy eggs and omelets, to steaks prepared to perfection, to beautiful burgers that look as good as they taste. No other restaurants in Delta Junction, AK offer the caliber of food we do, backed by the freshest ingredients and best chefs. No matter what meal you’re sitting down for or who you’re sharing it with, we aim to make it an enjoyable one. When you’re done with dinner and retiring from our fully-stocked bar in Delta Junction, AK, make your way to one of our accommodating motel rooms. We welcome you for the night, the week or the month, with rates that are affordable and fair. Choose to rent a room only or pay for room and board and get your hands on three square meals a day, courtesy of our kitchen. We’re also pet-friendly and non-smoking, making us your home away from home. Stop in today for a meal or a room and we’ll make sure you’re taken care of right. Our business is woman-owned and locally-operated, welcoming diners and lodgers from throughout Delta Junction, AK and the surrounding areas. We’re proud members of the Better Business Bureau (BBB) and our local Chamber of Commerce. We’re a pet-friendly motel and have a wide range of amenities, including free Wi-Fi. Our banquet facility is perfect for corporate events, weddings, receptions, reunions, parties, holiday celebrations and more. Our steakhouse has a full range of entrees for any taste, and our expert bartenders can make any drink you might want! Whether you crave a juicy steak or a filling burger, our menu has what you’re looking for. Schedule your dining reservation with us and ask about lodging availability and rates! "I can always count on the Steakhouse and motel. Friendly waitstaff great atmosphere. Clean restaurant. Great menu and variety of food. Very ..."
"I’ve recently been sent to Delta Jct for a job and stayed at the Alaskan steakhouse and motel,where I’ve stayed on numerous occasions. I..."
"The Best breakfast in town! I stop there almost every Sunday to enjoy a great breakfast"
"This restaurant provided an excellent warm, welcoming environment. The staff was friendly, and the food was delicious! Had a great experican..."
"I’m not normally a breakfast guy, but I can never turn down the country fried steak and eggs here!! Love this place, nice people, does ge..."